Movies with 100% more songs and 99% more women! 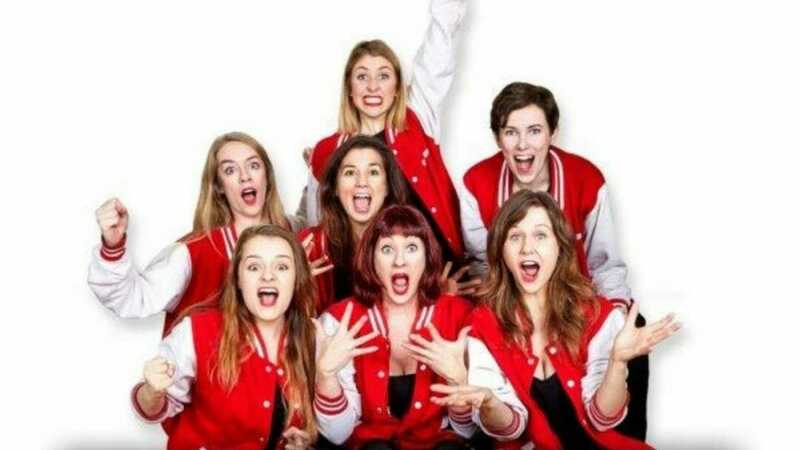 Featuring the UK’s top female improvisers and a full live band, Notflix takes your favourite films and kicks away the dramatic tension with a big, glittery stiletto of uncynical joy; defying you to leave the theatre without feeling that life is a just a little bit more wonderful. Notflix is a totally improvised comedy musical based on an audience suggestion of a popular movie. The girls then use the location, key scenes and characters as a starting point to create a brand-new narrative. All scenes, songs and vocals are improvised spontaneously by the cast and a live band with no preparation or planning. Therefore, every show is completely different. The Notflix cast have made their mark on the comedy, improv and musical group scenes with a unique and niche blend of all three styles; something which is extremely rare and hard to achieve – they are one of a kind amongst UK musical and improvisation groups. As a demonstration of its underground, (almost) overnight success, Notflix has received widespread critical acclaim including; Five-star, sellout runs at the Edinburgh Fringe in 2016 and 2017, selling out the Debating Hall (350 Seats) throughout their run at the Edinburgh Fringe 2018! An award-winning, total sellout run at The Vaults Festival 2017 and 2018, and a total sellout run at The Brighton Fringe 2017. Recommended as Pick of the Fringe 2017 in the Evening Standard, The Sunday Times, Marie Claire and Elle Magazine. Semi-finalists in the Musical Comedy awards and the Laughing Horse New Act of the Year. Featured in The Times UK top comedy improvisers alongside Showstoppers and Austentateous. Notflix: Because Everything Is Better As A Musical!